SAVANNA…Last week, State Representative Tony McCombie (IL-71st) signed on to become a chief co-sponsor of HB 3649 also known as the Debt Transparency Act. The Debt Transparency Act would require all state agencies to disclose monthly the unpaid bills they are holding but have not yet sent to the Office of Comptroller. The current requirement is that state agencies must do this on an annual basis. The Debt Transparency Act puts an end to this inefficient and opaque process to truly determine the state’s financial debt and outlook. In addition, agencies must estimate the amount of late payment interest penalties incurred on these bills. The state’s Prompt Payment Act means a 1 percent per month penalty applies to unpaid bills even though they are currently unknown to the Comptroller. 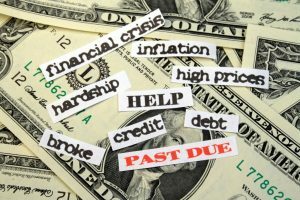 According to the Office of the Comptroller Illinois has $15.8 billion in unpaid bills and $800 million in interest has accrued on those outstanding bills. The Debt Transparency Act originally passed the Illinois House on a vote of 70-40 with the support of Rep. McCombie. The bill also passed the Senate on a vote of 37-16, but was vetoed over the summer. HB 3649 will need 71 votes in the House and 36 in the Senate to overcome the veto to become law.